On 12 September 2018, the European Parliament adopted a new draft Copyright Directive (the so called “Directive on Copyright in the Digital Single Market”). This new legislation is meant to correct the imbalance between creators and online service providers, by requiring the latter to obtain licences for the works that they make available (and pay for it). Why is this draft Copyright Directive so controversial? The new European copyright rules have been the subject of intense lobbying between supporters and opponents. Both supporters and opponents use metaphoric language to demonise each other (“the end of the internet!” and “freedom of speech!” versus “theft!”, “piracy!”, and “exploitation!”). In reality, the stakes are at a more mundane level: what part of the revenues generated by internet companies while using copyrighted content should be shared with the copyright owners? Two articles are at the core of the draft Directive: Article 11 and Article 13. These articles will drastically change the liability of internet intermediaries, by removing some of the existing copyright exemptions and by granting some new rights to publishers and authors. Article 11 of the proposed Copyright Directive aims to protect press publications from news aggregators, search engines, social media platforms, and other so called “information society providers”. Article 11 mentions that press publishers have a right to a “fair and proportionate remuneration” for the digital use of their publications. This right shall expire five years after the publication of the press publication and shall not apply retroactively. To make this concrete: if Google or Facebook want to publish short extracts of news publications, they will have to pay for it (although it is not clear how much). This article will settle a discussion that has been going on for many years between press publishers and Internet companies about the way the latter use the content of the former, without paying for it (see for instance the 2011 decision of the Brussels Court of Appeals in the case Google v. Copiepresse). Critics often dub this article as a “link tax”. However, if one reads the text of the proposal correctly, this does not seem to be fair. In fact, the proposed Directive literally mentions: “The rights referred to in paragraph 1 shall not extend to mere hyperlinks which are accompanied by individual words.” In other words, merely sharing links to articles, together with “individual words” to describe them, is not a copyright infringement. Also, the proposed Copyright Directive mentions that individual users will still be allowed to make a legitimate private and non-commercial use of press publications. Finally, the new rights are granted directly to the press publishers, but leave the existing rights of the authors (journalists, press photographers, etc.) intact. The proposed Directive literally mentions that authors (i.e. journalists) must receive an “appropriate share of the additional revenues” received by the press publishers. This article will need to be implemented in national law. It remains to be seen how much freedom the EU Member States will have to implement the new copyright rules. For instance, one can expect differences between countries in the interpretation of what constitutes a “fair and proportionate remuneration” that digital platforms must pay to the publishers, or in the interpretation of the “appropriate share” of revenues that press publishers must pay to the authors. Article 13 of the new Copyright Directive mentions that so called “online content sharing service providers” (e.g. YouTube or Facebook) are required to conclude “fair and appropriate licensing agreements” with right holders for their use of “large amounts” of copyrighted content (such as music and videos) uploaded by their users. This should enable artists and publishers to negotiate fairer royalties for the use of their content on internet platforms. If a right holder does not wish to conclude a licensing agreement, the online platform must ensure that no unauthorised works are available on its services. Platforms must also ensure that they do not prevent the availability of non-infringing works. It goes without saying that this will be a difficult balancing exercise. It is commonly expected that platform operators will install filters to prevent infringing content from being uploaded. The sharing platforms must put in place effective and speedy complaint mechanisms for users to address unjustified removals of their content. These complaints must be handled by staff, not merely by algorithms. Article 13 applies to providers who publish a “significant amount” of copyright protected works uploaded by their users, and who use these works for “profit making purposes” (for instance, advertisements). In other words, the small-scale publication of works and the non-commercial publication of works are out of the scope of this Directive. Of course, these concepts are open to interpretation. Microenterprises and small-sized enterprises are excluded, as well as non-commercial services such as online encyclopaedia (e.g. Wikipedia). This is also true for providers of cloud services for individual use (no direct access to the public), open source software platforms (e.g. GitHub), educational or scientific repositories (where the content is uploaded with the authorisation of the right holders), and online market places whose main activity is online retail of physical goods. The fact that online platforms have a direct responsibility for the content uploaded on their platforms, and must pay a fair compensation to the right holders, is a legal U-turn from the previous “mere conduit” exemption. It remains to be seen how the remuneration system will work in practice. Also, it remains to be seen how private “censorship” can be avoided (e.g. because of too narrow filters). Status of the new Directive: what are the next steps? 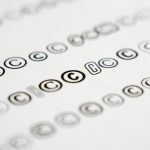 The recent vote by the European Parliament is an important step in the direction of a reformed European copyright system, but the new legislation is not yet in force. In fact, the Parliamentary text will now be negotiated between the EU Parliament, the European Commission and the European Council. It is likely that the current text will be amended to a greater or lesser extent. The aim is to adopt a final text in January 2019. After the final vote, the Directive will need to be implemented by the various EU Member States. The actual entry into force of the new copyright Directive may take several years. We will keep a close eye on any new developments.